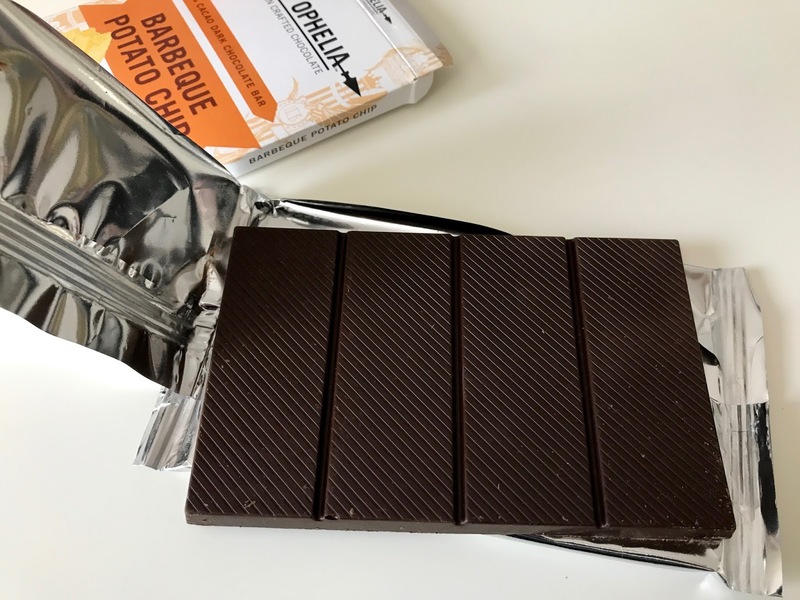 Fancy-pants candy company Wild Ophelia has put out a Barbeque Potato Chip candy bar. I love me some candy bar and I love me some BBQ chips so I couldn’t wait to try it. It didn't even seem all that weird. Salty-sweet is a great junk food mix – movie theater popcorn and M&Ms for example. It was only the barbecue flavor element that I thought might screw it up. Turns out that wasn’t an issue because I couldn’t taste the BBQ at all. Not a little bit. I couldn’t even taste potato chip. Hell, I could barely taste the salt. Turns out the Wild Ophelia Barbecue Potato Chip candy bar just tastes like a dark chocolate Nestle Crunch bar. I mean, it’s a pretty good dark chocolate Nestle Crunch bar, but that’s not what I signed up for. I wanted something odd. 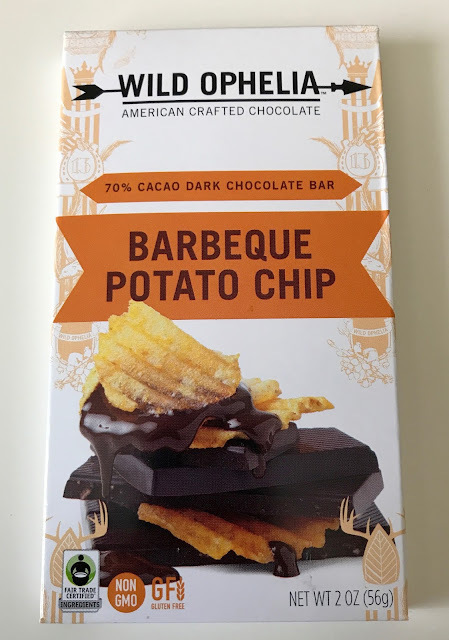 I wanted to see what BBQ potato chips mixed with chocolate tasted like. So, after Wild Ophelia let me down there was only one thing to do: Make my own. 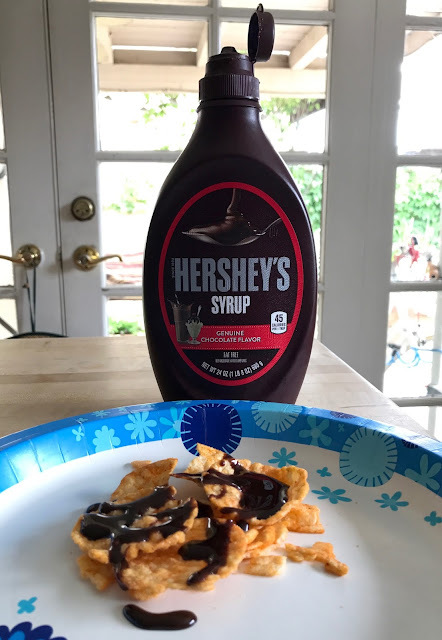 Yep, I poured Hershey’s syrup over some BBQ Pop Chips. I can’t say I wasn’t a little hesitant to try this concoction but, in the end, it was pretty okay. Tasty, even. I mean, I’m not going to start eating all my chips this way but the BBQ flavor didn’t hurt at all. It might have actually enhanced the experience. 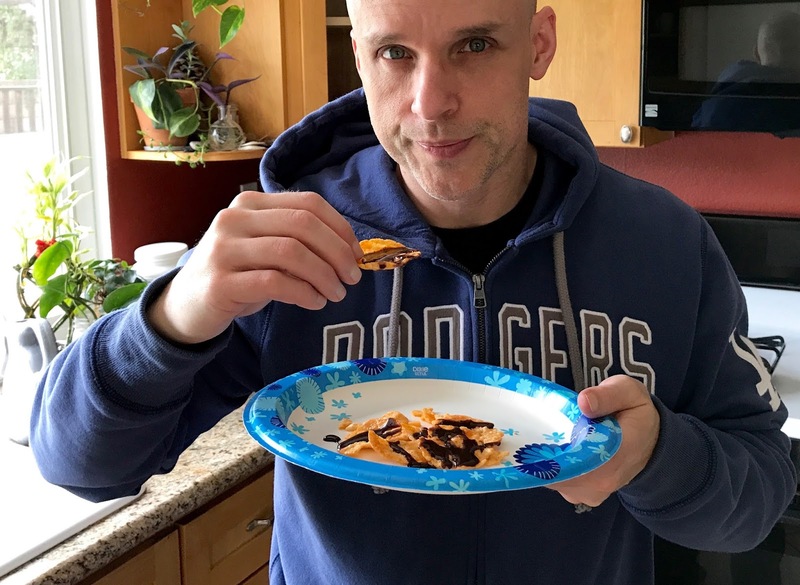 I guess the biggest endorsement I can give Sullivan’s Barbeque/Chocolate Potato Chips is that I only needed to eat one for the taste test but I finished the whole plate. Who’s wild now, Ophelia?